City of Lakes AmeriCorps offers an intense intervention to LTEL (Long-Term English Learner) middle school students. 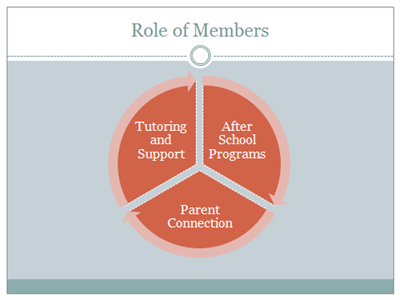 These services fall into three main categories: Tutoring and Support, After School Programs, and Parent Connection. • Full-time Academic Coaches support in an English Language Development class that is led by a licensed teacher. Members work with small groups of students within the classroom. • This class utilizes English 3D curriculum, which may be supplemented as the teacher sees fit. • Members and teacher regularly check in regarding progress of students and current academic goals. • Additionally, members support caseload students in other content classes and prompt the use of academic language throughout the school day.